Have you ever had a conversation with your children or spouse about leaving lights on in the house? Okay maybe “conversation” isn’t the correct word but I think we have all been there and probably on both sides of it. 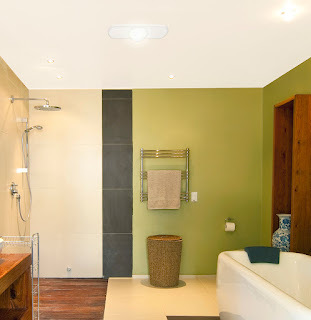 While we might not be able to help in all rooms, the bathroom is definitely one that has an easy solution – timer switches. A timer switch is an excellent and usually very easy upgrade to a bathroom that allows you to control as little or as much as you want. Because bathrooms are used for a limited amount of time, timer switches make a lot of sense. Switches come in all forms and functions, from the traditional dials to programmable electronic ones. When choosing a timer switch, you want to consider a few things. Can the switch handle the power requirements needed. If you are using a timer switch to control a heater function (and we highly, highly recommend you do) you want to make sure the switch is rated for it. Switches will have a rating on them with the maximum amount of watts or amps it can handle. Simply match that to what you are controlling with the switch. For instance if you have a heater that uses 1350 watts - makes sure the switch is rated for at least that amount. What type of features do you want on the switch. When using with a combination fan and light, a useful function is a timer switch that turns the light off but allows the fan to run for an additional amount of time. This allows the fan to complete the ventilation process without having to have the light on during the entire time. Make sure the switch can accommodate the amount of time you typically spend in the bathroom. If it takes you 40 minutes, a 15-minute timer is probably going to be more of a hassle for you than help. 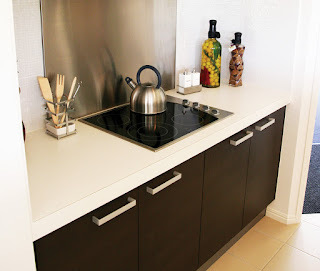 The kitchen is many times considered the heart of the home. It also provides an excellent ventilation opportunity. New codes have gone into effect across the country (known as ASHRAE 62.2) that require a centralized exhaust fan providing continuous ventilation. Builders have a few options for how to solve for this. Many are installing a separate exhaust fan in the main living areas. They are typically very quiet and can barely be heard when running. This is a good solution as it meets the requirements and is usually not even noticed by the occupants of the home. The negative is that it is an additional item that needs to be installed and maintained within the home. A second option is a dual speed fan installed in the bathroom. This is the “two birds with one stone” theory. These fans have a very quiet low speed that runs continuously to meet the requirements of ASHRAE 62.2 but also have a high speed – sometimes called boost speed that kicks in when the room is in use. They can be controlled by humidity sensors, motion sensors or just by a standard switch. While these work, the challenge is that typically bathrooms are not located in a “central location”. Basically the minute you shut the bathroom door, you have cut off the airflow from the rest of the home. The purpose of ASHRAE 62.2 is to provide air exchanges within your home, brining fresh air in and exhausting stale air out. There is another solution however – a multiple speed range hood. Much like the two speed exhaust fan, these range hoods have an almost silent continuous speed that meets the ASHRAE 62.2 requirements. When the range is in use, the hood can be turned to an appropriate speed to provide the additional ventilation needed during cooking. As with two speed exhaust fans, using a range hood has the two for one benefit, there is no need to install a separate fan. The added benefit of using a range hood is that in many homes the kitchen is located in a centralized location or at least in a location that is not cut off from the rest of the home.